Mother of Pearl cufflinks sub category in a classic cufflink style. This range also includes cats eye cufflinks. Mother of pearl cufflinks have a real depth of class and sophistication. They are classic in style yet modern and young. 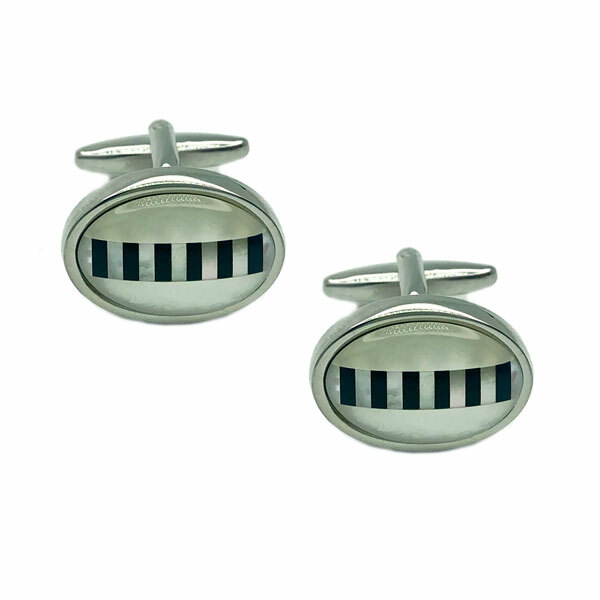 These cufflinks are a ‘go to’ design for formal and business wear occasions. A pair of classic stone cufflinks is essential to everyone’s cufflink collection. Cats eye cufflinks have also been banded together with the Mother of Pearl style as they also have a real depth to them. Whether the stone has been coupled with gold or silver frame work, these cufflinks will pop on your cuff. Make sure if you are planning a wedding you consider a stone based cufflink as your wedding cufflinks as they really add a touch of class to your suit. The Cufflink Club is Adelaide based and we stock our cufflinks in Australia to ensure swift quick delivery. Buying your cufflinks online has never been easier when you buy from The Cufflink Club. Whether you are based in Perth, Canberra or Sydney, we can get your order to you promptly. We offer next day delivery services, to make things that bit easier for you.